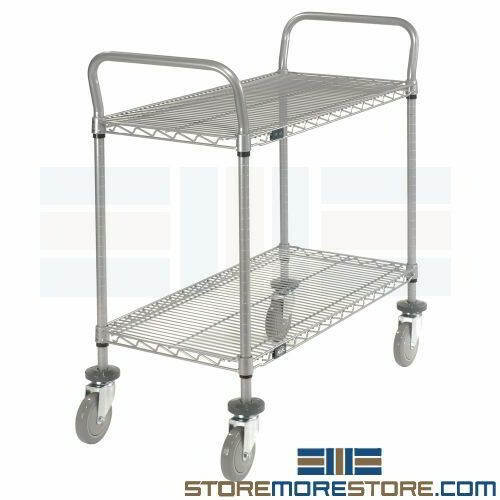 Chrome rolling shelf carts are designed to provide easy storage and transportation of supplies, inventory, and other items. 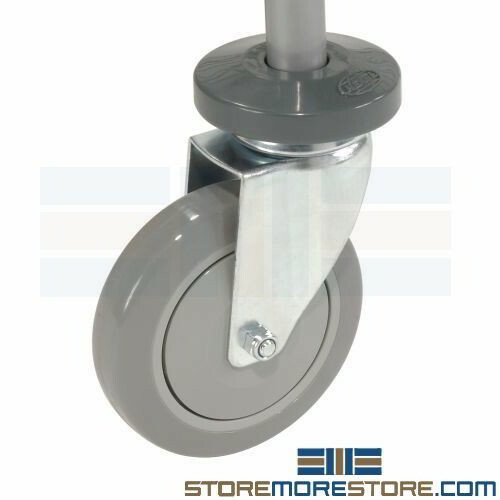 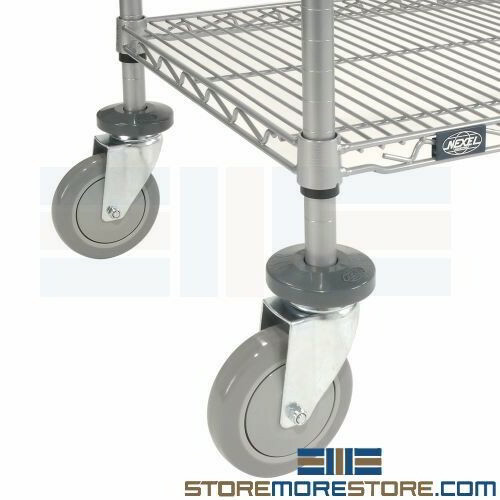 Its durable structure, casters, and raised shelf lips to prevent spills make the carts ideal for use in food service, warehouses and industrial facilities, labs, factories, and more. 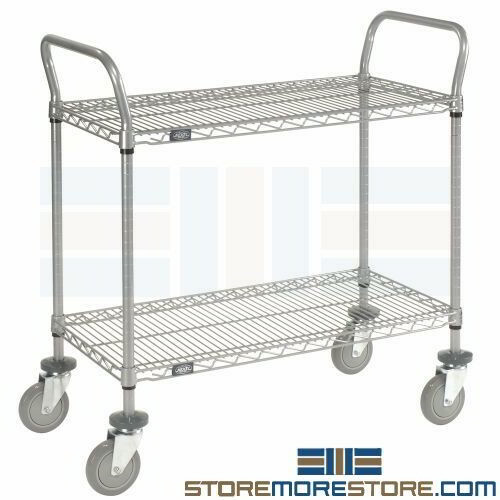 These utility carts with shelves provide efficient storage and fast, safe transport of stored items. 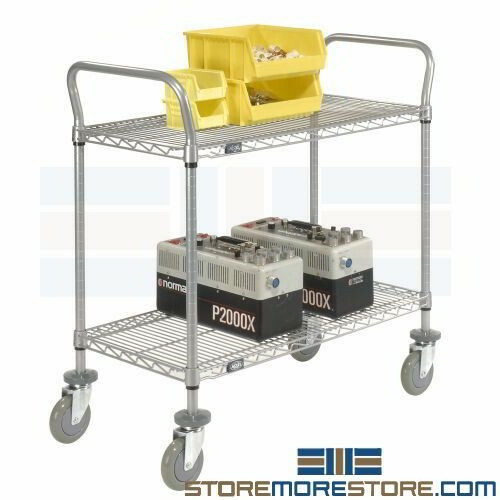 With a capacity of 600 lbs., the carts are great for storing items such as food supplies, electronics, repair parts, cleaning supplies, boxes and bins, and much more in all types of applications from food service to warehouses. 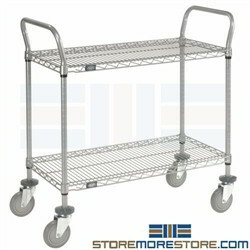 Construction: Chrome, silver epoxy, or solid plastic as indicated on model.